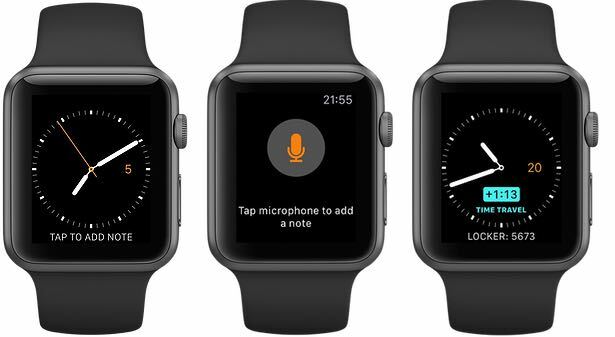 Yesterday, developer Michael Bischoff refreshed its nicely done iPhone application, WatchNotes, with the ability to create, schedule and display notes right on your watch face through a brand new Apple Watch app and a complication. WatchNotes, which originally made its App Store debut in December 2015 as an iPhone-only app, also lets you dictate a new note directly into your Apple Watch, set up scheduling and travel through time using watchOS’s Time Travel feature to look at notes that you’ve scheduled in the future. If you’ve ever wanted to add a note to your Apple Watch face on the fly, you’re wholeheartedly recommend to take WatchNotes for a spin, more so considering that watchOS currently lacks a stock Notes app. 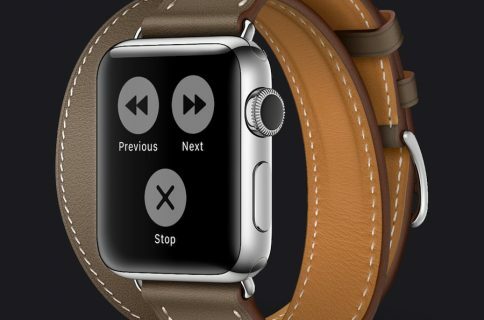 When you first launch WatchNotes on an iPhone, you’ll be asked to install its watchOS component on an Apple Watch. Open Apple’s companion Watch app on your iPhone and tap My Watch → WatchNotes → Show App on Apple Watch. After the app finishes installing, re-launch WatchNotes. Next, you must install WatchNotes’ complication on your Apple Watch. Force-press the screen while on your watch face, and then select between the Utility or Modular watch face. 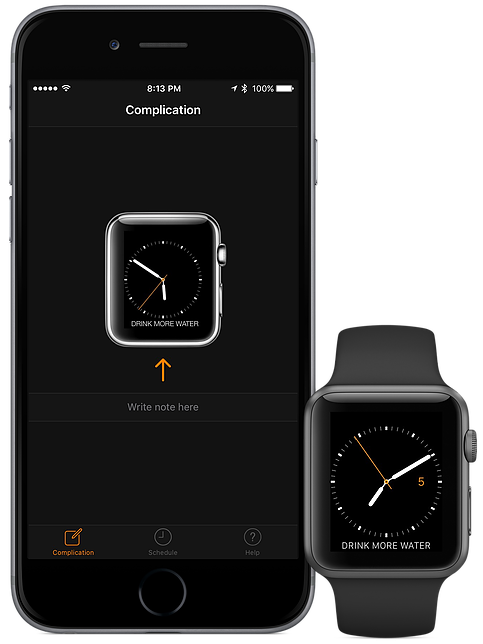 Now tap Customize, select the biggest complication and turn the Digital Crown until WatchNotes shows up. Force-press the screen one more time and tap the watch face to finish. Creating a new note should be now as easy as raising your wrist and dictating it using your voice. The app will automatically put up scheduled notes via its complication on your watch face at their predetermined times. As I said, your notes are easily browsable via the Apple Watch’s Time Travel feature: just turn the Digital Crown on your watch face to view notes scheduled in the future. Not a fan of dictation? Use the iPhone app to type out notes that’ll appear on the watch face, and even schedule notes to appear on your watch face at a predetermined time. Start by tapping Scheduled tan in the iPhone app. Next, hit the plus button to create a scheduled note. Choose a day and time when you’d like your note to be shown on a watch face, and then tap Create. You can also configure your scheduled notes to be shown repeatedly every day, or every week at the set time. One last word: if the complication is not refreshing properly on your watch, you’ll have to update it manually when you raise your wrist by tapping the complication. WatchNotes is ad-free, doesn’t require In-App Purchases and stores all your notes locally and hides them from prying eyes when your devices are locked. WatchNotes is an English-only app which requires an iPhone with iOS 9.1 or later and an Apple Watch with watchOS 2.1 or later. Owners of an iPhone 4S or older wont’ be able to use the full functionality of WatchNotes. WatchNotes is $0.99 in the App Store.